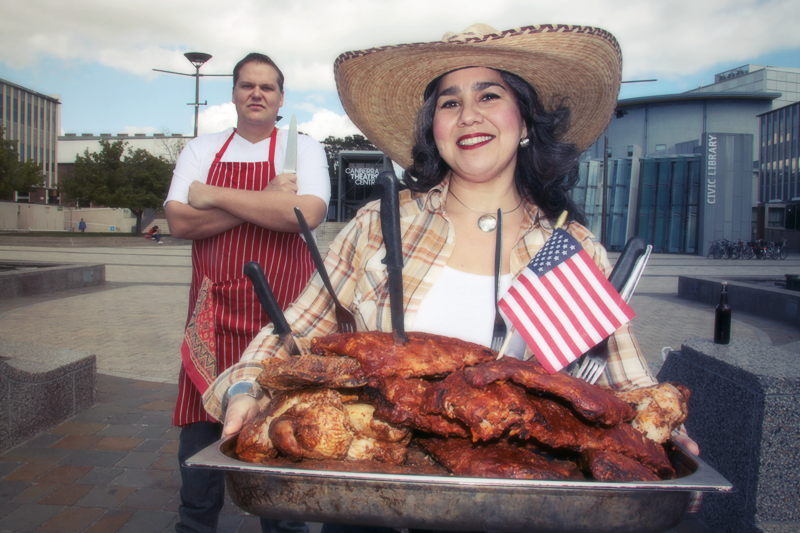 Hopefully you’re aware that Canberra is hosting its first BBQ festival this weekend 5/6 December, thanks to Alicia and her awesome friends at the Australian American Association! This is an officially sanctioned BBQ competition (via the Australasian BBQ Alliance). Tickets are available here at reasonable prices and there will be many local and international food stalls selling their delicious barbecued creations. To help you find purpose and direction at the BBQ festival I’ve designed a little bingo sheet and thanks to Smoque Canberra my friend Alicia from the Australian American Association has arranged a $100 first prize for the best (most complete and entertaining) entry. All you need to do to win $100 of delicious feed from Smoque Canberra is print out the bingo sheet and follow the instructions on the sheet, whilst sharing online via twitter and instagram and facebook as much evidence as possible of your adventures. Please use the hashtags #Canberra #AAABBQ and @AAABBQ_Fest on Twitter and thebigsmoque & #visitCanberra on Instagram and check into the event “The Big Smoque – AAA BBQ Festival Canberra” on Facebook (and also helps to like the page The Big Smoque AAA BBQ Festival Canberra 5-6 December). So what are you waiting for? Download the bingo sheet (make copies for your friends) and come on down for an awesome weekend of heat and meat! This entry was posted in news and tidbits.